Ahmad heads the firm’s Corporate & Commercial IV Practice Group. He has extensive experience in advising corporations including public listed and government-linked companies on the whole range of corporate and commercial transactions including mergers and acquisitions as well as equity capital market transactions. 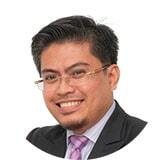 Prior to joining the firm, Ahmad was previously in Kadir Andri & Partners for 11 years.